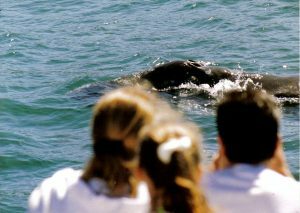 Whale Watching Tour combines a scenic coast tour with the excitement of seeing 40-ton gray whales up close on the Pacific Ocean! Learn about the whales of the world, and the natural and local history of Oregon. Many beautiful coastal photo/sightseeing stops throughout the day. Full day $149 per person. Group discounts available for 30+ guests. One of the best kept secrets in Oregon is that there are traveling and resident California Gray Whales along the Central Oregon Coast from late March through November! 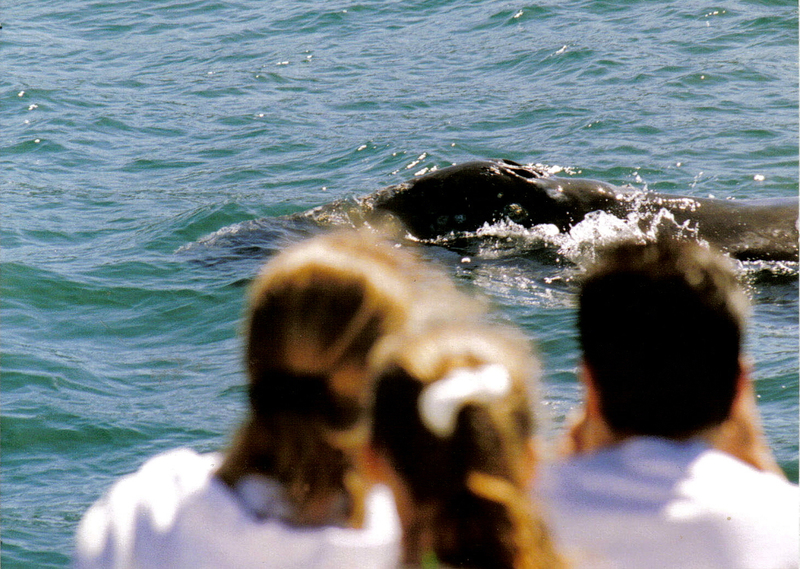 The “Thar’ She Blows!” Whale watching tour is normally scheduled from 8 AM to 5:30 PM. Because we travel in small groups, options may be available to adjust our itinerary according to your wishes as the day progresses. The following is a sample itinerary. 8:00 AM Pickup at your hotel or residence. Travel southwest from Portland through the picturesque farmland of the Willamette Valley, where many types of fruits, hazelnuts and flowers are grown. Pass through Oregon’s premier vineyard region, famous for its award-winning Pinot Noir, Chardonnay and Pinot Gris wines. 9:30 AM Leaving the Willamette Valley, we’ll head into the Coast Mountain Range. 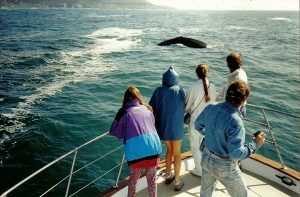 During the drive to the coast, you will learn about the whales of the world, particularly about the California Gray Whales which we will be viewing up close from charter boats on the Pacific. We will stop for refreshments at the half-way point to the coast. 10:30 AM Once at the coast, we’ll stop at a beautiful overlook to view the ocean from Siletz Bay. EcoTours carries 45-power spotting scopes on all tours in order to view wildlife such as the harbor seals and sea birds which sun and nest on the beach, offshore rocks and wildlife refuges of this area. 11:00 AM We’ll board a 45-foot charter boat and head out into the beautiful blue-green waters of the Pacific Ocean. Gray whales feed in rich offshore waters only 50-100 feet deep, so most of our viewing is done within two miles from shore. EcoTours’ guests have seen whales 95%+ of the times we’ve been out on the ocean, so our chances of spotting whales are excellent! Seeing, hearing, and even smelling the huge spouts of these enormous mammals is a once-in-a-lifetime experience that you will never forget! When Gray Whales dive down deep for feeding on the ocean bottom, their tail flukes extend into the air in an incredible and photographic show of acrobatics. 12:15 PM After our exciting ocean-charter boat ride, you will be shown the restaurants in the area and will have time for lunch on your own. 1:20 PM After lunch, we’ll take in the local sights. Stops will be made for pictures at beautiful state parks between Newport and Lincoln City. The sights include spectacular beaches, rocky coastal cliffs and fir-clad mountains. Our last stop will allow guests to take a short walk on a beautiful beach. 3:30 PM Leaving the Coast, we’ll begin our trip back. Socializing with our newly-formed friends makes the ride home enjoyable. The relaxing ride is scenic on the return also. 1. A stop at the Oregon Coast Aquarium in Newport, as well as the Whale-Watching boat ride. Due to length of time needed at the Aquarium, the sightseeing stops will be limited. Note: This Whale Watching tour is seasonal. The best season is June through October. We can also see whales in migration in late December-early January and from April-May. Because small craft advisories can occur unexpectedly and EcoTours of Oregon places the highest priority on safety, on rare occasions we are only able do the sightseeing parts of the tour. On these occasions, the charter boat portion of your tour will be refunded in order to compensate for staying ashore. This is done in the interest of safety. If weather reports project bad weather the night before the tour, EcoTours will try to notify guests by phone in advance to give the option of not going on the tour. 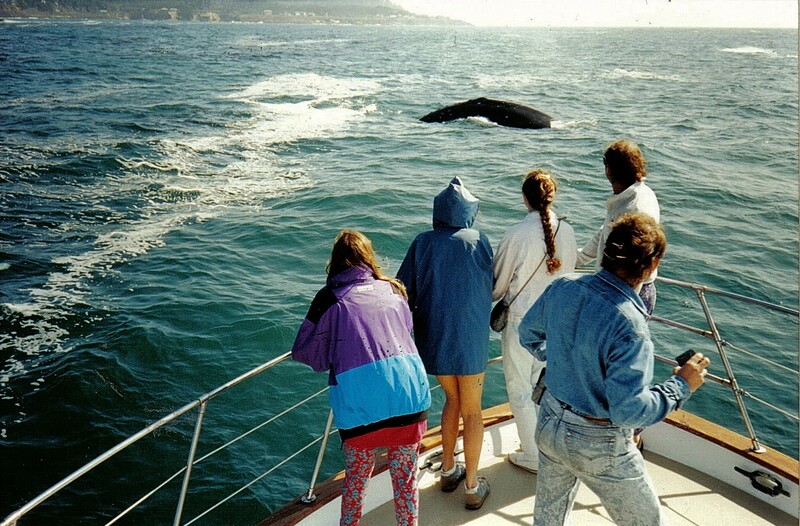 The cost of the “Thar’ She Blows!” Whale watching Tour is $149 per person. This includes door-to-door transportation, the charter boat ride, and the interpretive naturalist services of your ecotour guide. Group discounts available for 30+ guests.